564-MPU-DST is rated 4.6 out of 5 by 25. 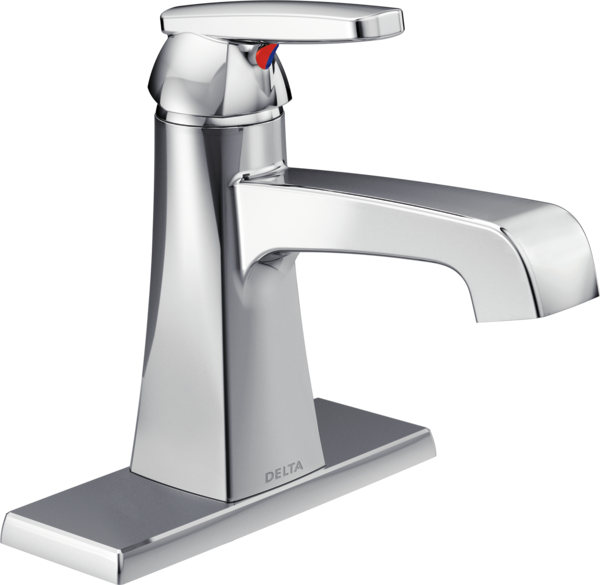 Rated 5 out of 5 by Medic Phil from Great faucets We bought 2 of these to go with our master bath remodel. The installation was easy, and the looks are great! This design goes well with our total remodel project. 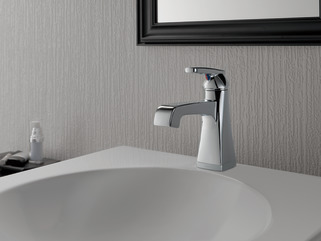 Rated 4 out of 5 by maddyalba from Love the bathroom faucet I'm in love with my bathroom faucet. 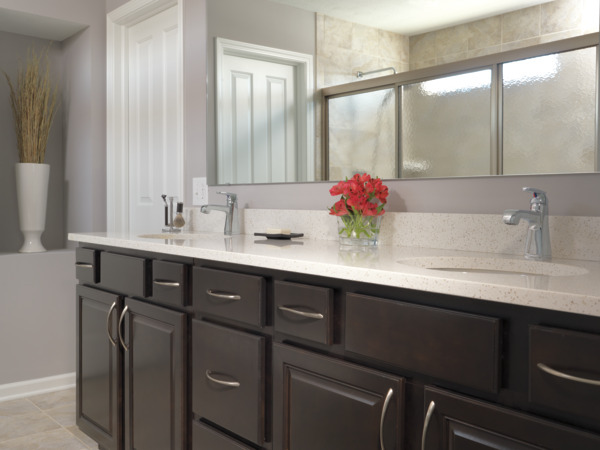 I chose the style because it looked different and it was a great addition to my newly renovated bathroom. I've received wonderful compliments on the style of the faucet. 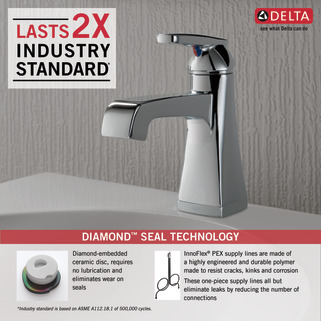 Rated 5 out of 5 by PatMC from Upgraded bathroom faucet I am really enjoying this Delta 465-MPU-DST bathroom faucet. 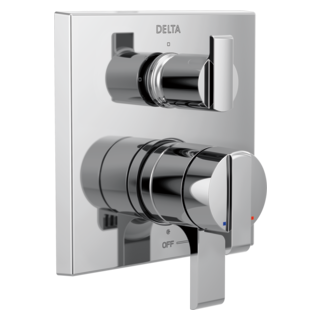 only one handle to control the temperature of the water. really nice and it also looks very attractive with my décor. Says it has a pop up drain assembly but mind didn't come with the pop up, not sure why, was very surprised that it didn't. 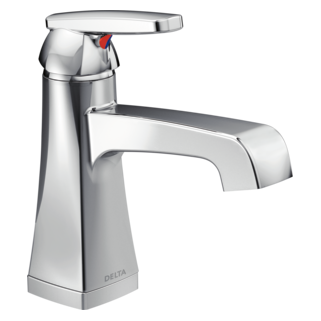 Rated 4 out of 5 by DMRabbit from Disappointed with the finish We bought two Delta Ashlyn shower sets, a tub set, and 2 faucets for our bathroom remodels. Love the style, operation, modern look. And we know Delta is a great brand. But, I am disappointed in how it spots after using. All of these items really seem to hold onto water spots -- they are removed with a microfiber cloth but I really didn't intend to have to do this after every use. I've had other high-end brands of shower systems (Jado, Moen, Kohler) and have not had this problem. We do not have especially hard water either. Is this something that will improve over time? Rated 4 out of 5 by wemo from Ashlyn Faucet The faucet feels very sturdy and well made. Moving the lever is easy. 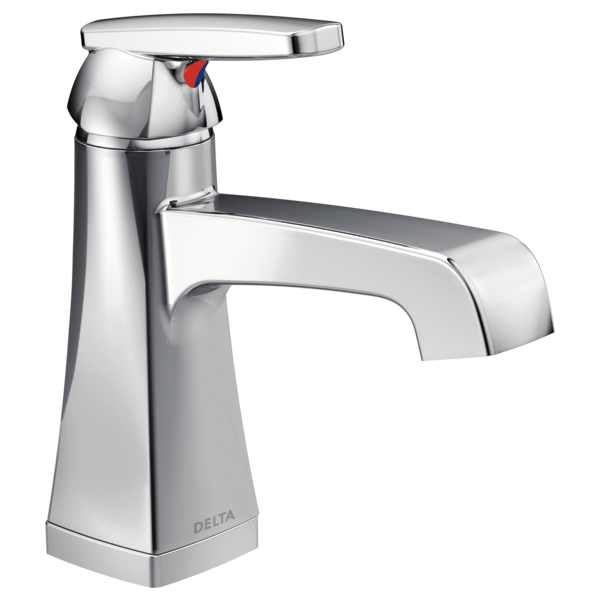 We don't have the faucet hooked up yet but I love the finish on it and I am confident of it's quality. Does the lever have a small turn radius? 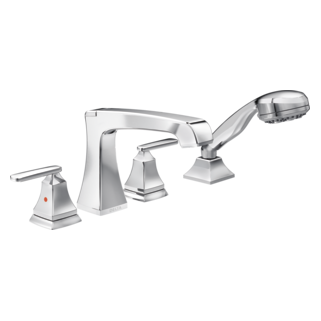 We recently received this faucet and noticed the lever has a very small turn radius. It seems it would be very difficult to control the temperature with such a small radius. Is this by design and is the lever sensitive to small adjustments? Yes and it takes some getting used to. Does the Ashlyn line have an &quot;all brass body&quot; or does it have plastic or nylon components? If so which of your products have an all brass body? 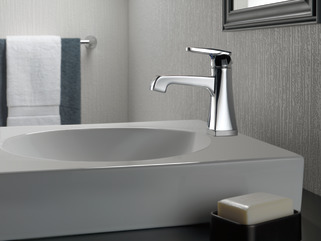 Can't tell from the brochure if this faucet has a &quot;brushed&quot; or &quot;brilliant&quot; stainless steel finish. Please advise. How long is the spout from the faucet to the edge? 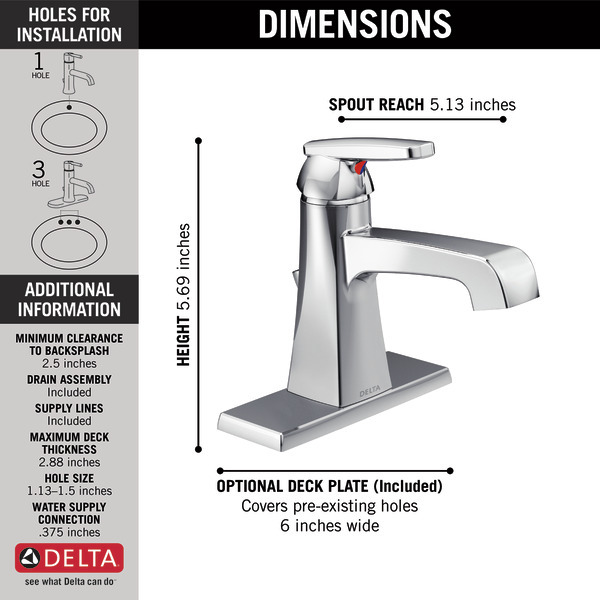 I need to know how long the spout is so I can determine how far the spout sits over the sink. Any difference in quality/construction based on the retailer? 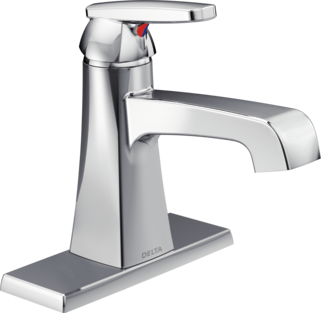 Hi, is there any difference in this faucet purchased from a big box store like Lowe's as compared to a plumbing supply store like Ferguson? My plumber told me that the ones at Lowe's use cheaper materials, and the much lower price at Lowe's than even the cheapest online plumbing supply store supports this, but they appear to have the exact same model number and specs. 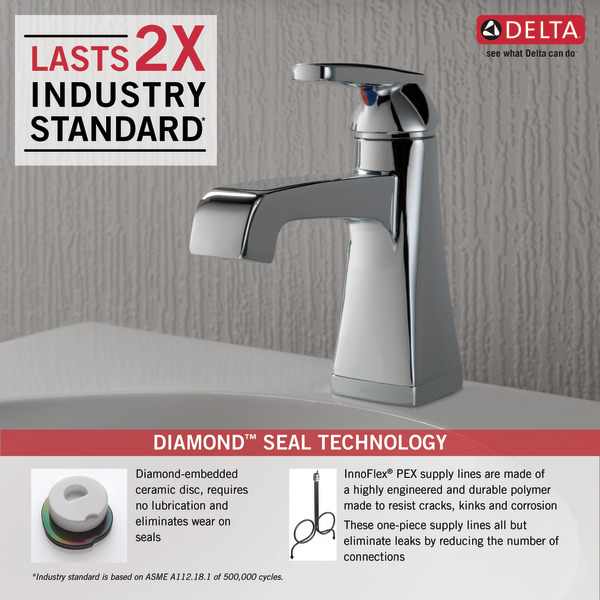 Also, does it carry the same warranty from Delta regardless of where it was purchased? The Hit water flow is weak and not very hot . Could you tell me if there is an adjustment I do not see?